If you desire to live in a thriving suburb with an urban heart that is conveniently located just minutes from downtown Boston and all of its conveniences, look no further than the “City of Presidents,” Quincy, Massachusetts. Quincy has a rich history and heritage as the home of 2 United States Presidents and the summer White House. Quincy is also home to acres of picturesque parks and 27 miles of gorgeous coastline and beautiful beaches. Additionally, Quincy boasts multiple world-class golf courses, hiking and rock climbing at Blue Hills Reservation, and diverse dining options, both casual and upscale, that rival Boston’s best restaurants. On top of all of that, Quincy has impressive real estate options for prospective homebuyers to consider. 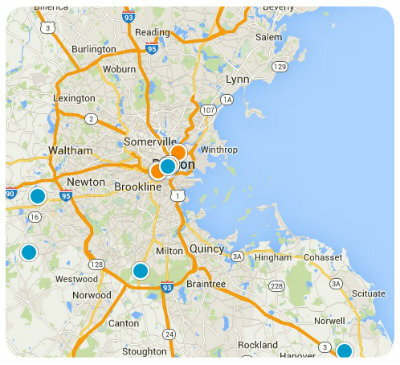 There are multiple neighborhoods within Quincy that are great places to call home. Quincy Point is one such neighborhood. Quincy Point, or “The Point” as the locals call it, is bordered on the north by Town River, on the south by Quincy Avenue, on the east by Weymouth Fore River and on the west by Elm Street. Located east of the downtown district, known as Quincy Center, The Point is a dense and diverse community with multiple single family homes for sale. In addition to numerous real estate options, Quincy Point also has multiple small beaches to be enjoyed by visitors and residents. A few of the most popular are Mound Street Beach and Avalon Beach. Residents also enjoy recreation and leisure activities at Fore River Field and Monroe Playground. Additionally, Quincy Point is home to the United States Naval Shipbuilding Museum at the Fore River Shipyard. Buying a home in Quincy Point affords residents with a quiet, laid-back lifestyle with close proximity to all the amenities you’d expect from a thriving suburb. Residents of Quincy Point have easy access to State highway Route 53, State highway Route 3A and multiple MBTA bus routes as well. Quincy Point offers all these great amenities and excellent education opportunities at its local schools, Marshall Elementary, Point Webster Middle and Quincy High School. If you would like more information regarding homes for sale in Quincy Point, or you have other Boston Metropolitan area real estate questions, please do not hesitate to contact us today.